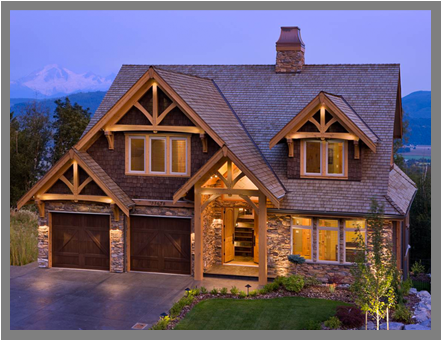 At Top End Homes we have built custom homes and timber frame structures from 800 square feet to 10 000 square feet. The only limit we have is your imagination. We are here to help you with each step of your new construction, addition or renovation, with professional advice to help you make informed decisions on a suitable building site, building design, choosing materials, permits, and ensuring that at each step of your project is completed with quality work and outstanding craftsmanship. We can manage your custom home from start to finish to ensure that you have a warm and comfortable place that you are proud to call home. We hope you enjoy taking a virtual tour of custom homes, cabins, barn, shops and warehouses.